Just registered to submit this trip report, since I learned so much from the forum that helped me plan an awesome trip! 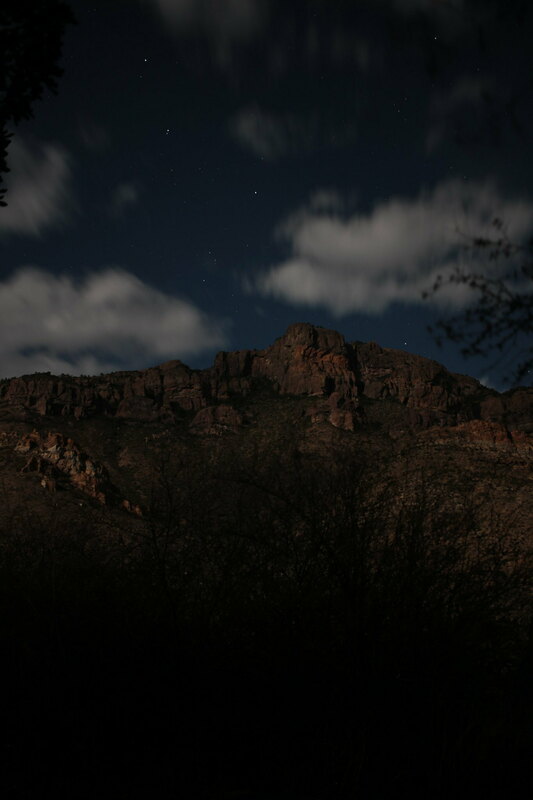 12/1: Make the whoa-long drive to Big Bend, getting to Panther Junction in time to grab a backcountry permit. I showed up solo, expecting to be asked a ton of questions... the ranger there was new, and at first said "you're not trying to get an Outer Mountain Loop permit, are you?"... which of course I was. He asked a few questions, but it became pretty clear I had done the research, and had a piece of paper with my planned itinerary, the zones I wanted to camp in (and even my meal and water plan) all laid out. I asked about the springs and he said Fresno had water about a week ago, but I should't rely on them. Fine, no problem. Got my permit, and headed to the Chisos campground. 12/2: Drove to Homer Wilson to cache a gallon of water. When I got there a group of 4 guys asked me if I was caching water, and where I was headed next. I told them back to the Chisos, and they asked for a ride... my reply: "you're not bailing on the Outer Mountain Loop, are you?"... of course, they were. Gave one of them a ride back to his car so he could get his buddies. He told me it was the Dodson that did them in - they didn't expect as much up and down as it had. I asked about the springs, and he didn't really know much about what I was talking about. Ominous. Parking in the overflow parking lot near the campground, I gathered my things and set off on the adventure. I was carrying 7 liters of water, not knowing if I could rely on Boot Springs or would find Juniper Spring, and I was really hoping to get to Fresno with that. I headed up the Pinnacles Trail, saw a bunch of day hikers. 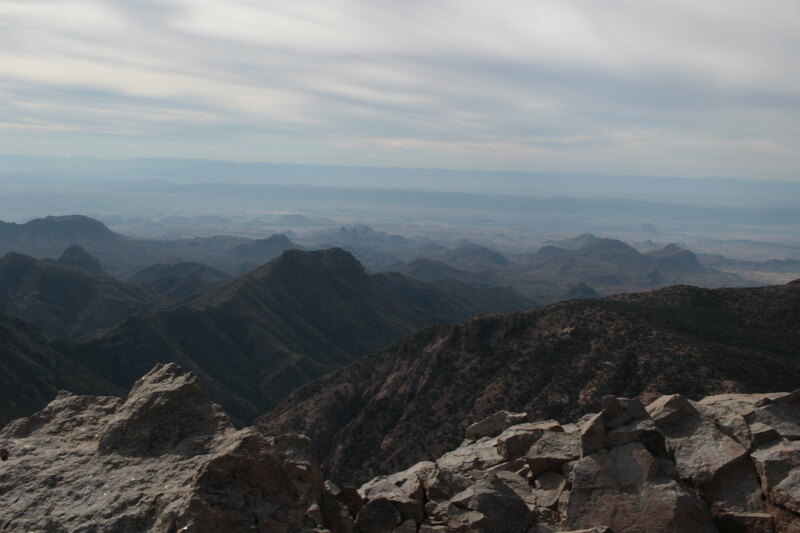 I cached my pack in the bear box at the junction with the Emory Peak trail and made quick work of it. The scramble at the top was actually fun (I saw someone coming down who took a much more difficult route coming down than I would ever want to try...). View had a few clouds, but otherwise beautiful. I didn't really need water at this point, but I went to explore Boot Spring at the sign just before the Juniper Canyon Trail junction. There was no water coming from the pipe, and only a stagnant leaf-covered pool in the whole lower area. Thinking that was it and was now a little concerned about the rest of the springs, I filtered 1 liter to refill what I had drank so far (theme of the trip: overly conservative about water!). 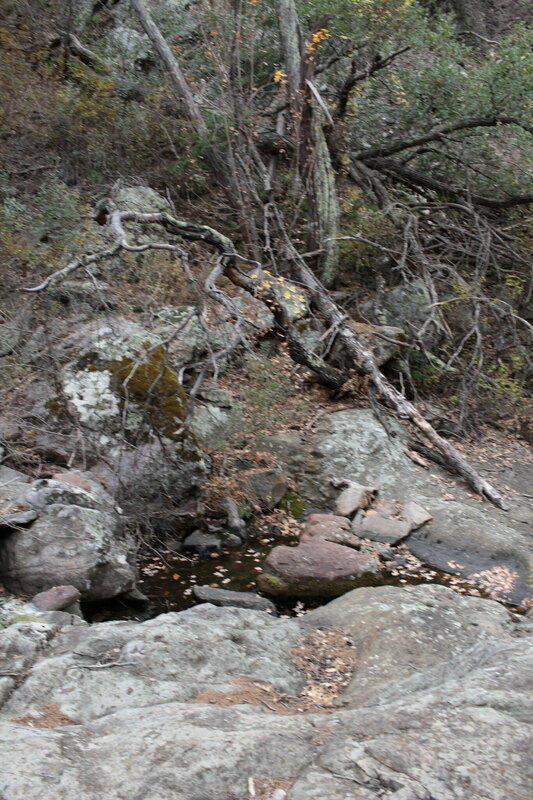 As I returned to the Boot Canyon trail, I saw a bigger stagnant pool of water. I'd later find out that if I headed up further past the junction with Juniper Canyon, I would have found more and more pools of increasingly clear water, some several feet deep. Doh. Down Juniper Canyon I went. It felt like a long time getting down, and I was hoping to see where to set up camp. Right at the part of the trail with Juniper Spring (near the zone camping sign) I saw a tarantula crawling through the shade. Deciding I had plenty of water and didn't want to try to find a spring that I didn't need, I passed through and can't report on whether that spring has any water or not. I had read on here something about the second campsite after the zone camping sign, so after seeing what looked like it might be a first site, I kept going. Found an awesome site not long after, and settled in for the night. I was hoping in planning this trip to take some astrophotography pictures, but my plans were crushed by a full moon... so, instead I took a few moon-lit star/topography pictures. 12/3: Next morning was moving further down the Juniper Trail. I wasn't really prepared for how pretty this section was. I eventually ran into one other solo hiker. We'd actually see each other again on the Blue Creek trail the next day - he was going the opposite direction and had started at Homer Wilson. I think somewhere around 10 or 11 I got to the junction with the Dodson. 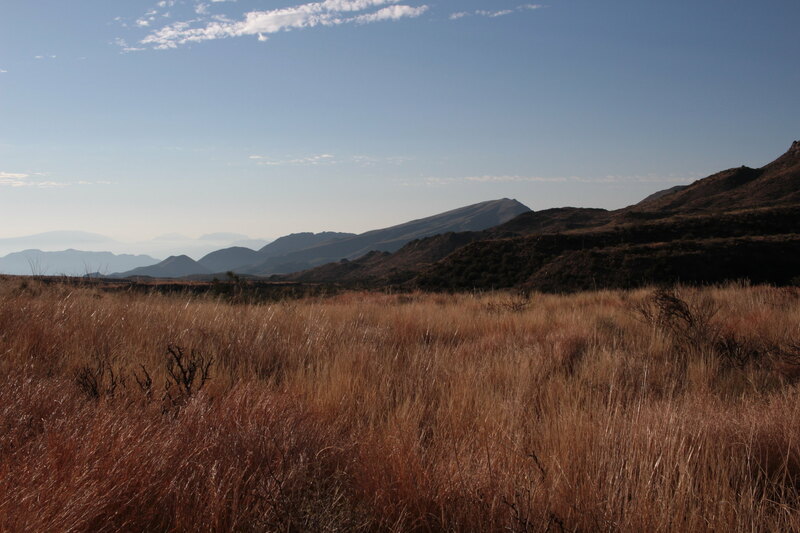 No one was around, the sun was blazing with exactly zero clouds in the sky, and so with little fanfare I started down. I found the route pretty easy to follow, with tons of cairns leading the way (the ranger at Panther Junction had said people found it difficult to follow the trail, particular at the start of Blue Creek). I thought the Dodson wasn't so bad, was prepared for the hills, and drank plenty of water (much more than expected actually). I was kind of anxious to find water in Fresno, and certainly didn't want to miss it. Dodson spring seemed pretty dry (the pipe there had nothing). Fresno, however, had a trickle passing over the trail. I headed south of the trail and found more and more pools of water. I took a break, filtered 3 liters and enjoyed a bit of shade. I packed up, but before I left I heard some people nearby. It turned out to be two rangers who were down there taking pictures of Fresno to post more detailed info on the park website so people would not miss the spring (that group of guys that bailed at Homer Wilson are evidence that apparently a fair number of people don't really know about Fresno and might just bypass the only reasonably reliable water source). They were friendly, checked my permit, and then I was on my way. The afternoon wore on, cloudless and hot. Up and down the trail went. I was hoping to make it at least to the corral on the map (past Smokey Creek Trail I think?) before camping. It seemed a bit like forever, but I did find that area. I saw the saddle ahead that I had originally planned to be a great view, and decided I'd tackle that, then look for a spot for the night since it was getting a bit late and kind of close to sunset. Boy was I right about that view! One of my favorite spots in the whole trip. I searched for a flat spot to camp up there, but alas, came up empty handed. I spotted a nice flat sandy area a little ways down, and decided that'd have to be where I settle. 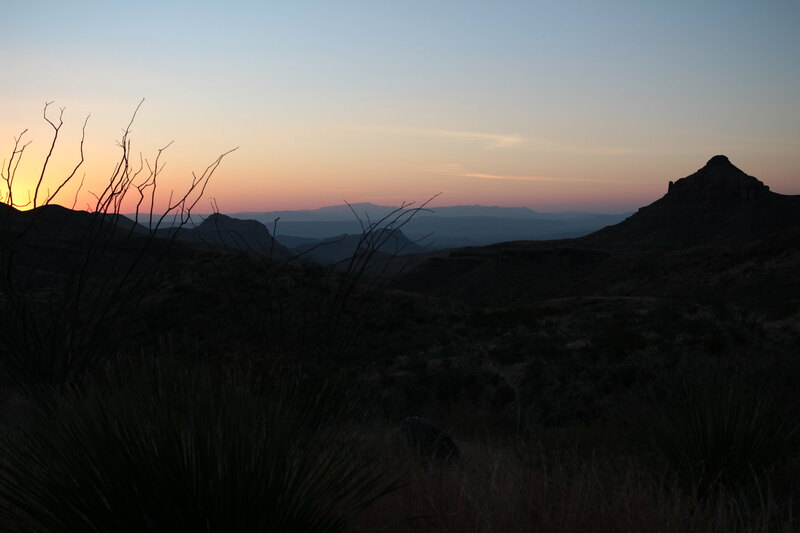 I couldn't quite see Mule Ears from there, and only one side of the Santa Elena canyon, but it was really pretty anyway, and a great sunset. I could see Carousel Mountain not far off and knew the AM my first milestone would be pretty quick. 12/4: Got up to an equally beautiful sunrise the next morning, and set off to get my water cache. Got to Homer Wilson, didn't see anyone around, grabbed the water, and headed for the Blue Creek Trail. I was a little unsure based on the sign whether the trail followed the wash or exited and went alongside it. Turns out, it's the wash. Most definitely the wash. For miles. This was the part of the trail that was most difficult to me... sinking in the gravel and sand with a newly water-loaded pack. A pretty trail and the sun hadn't quite peaked overhead, so do-able, but tougher than the Dodson for me. Eventually I made it to the more forested areas, and decided to look for a snack spot before what I knew was going to be the uphill back to the rim trails. As I came around the bend looking for a nice spot, I found that same guy I saw on the Juniper trail doing the same thing. 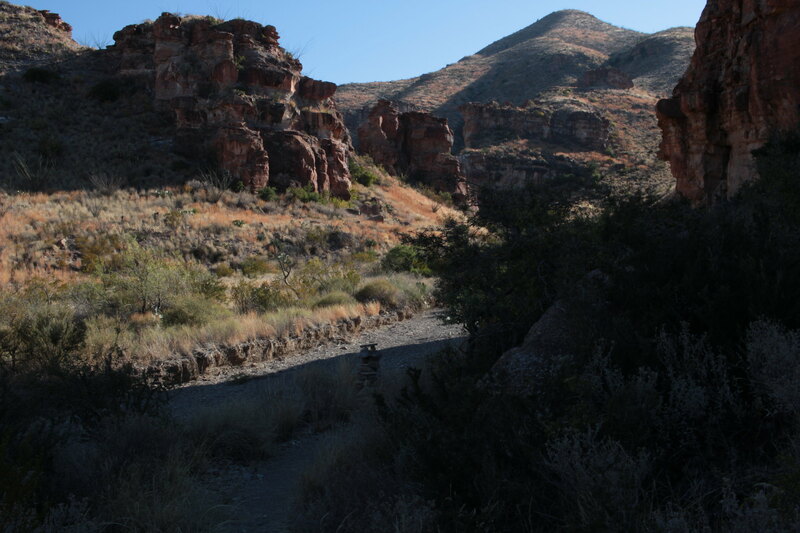 We chatted for a little while; he said the pools up-trail from Boot Springs had more water in them if I needed it, and it was hot up the Blue Creek switchbacks ahead of me. I had a snack, then I headed was back on my way, uphill. I thought this part was going to be harder, but it actually went by really fast. Within probably an hour or two, I appeared on the Laguna Meadows trail, and headed for the rim. I heard from some rim-backpackers that a cold front was about to come through but the weather would probably hold the next day still. The rim was fantastic, of course. I had reserved the SE2 site, so lumbered my now-tired legs over that-a-way, set up camp, and settled in for the night. 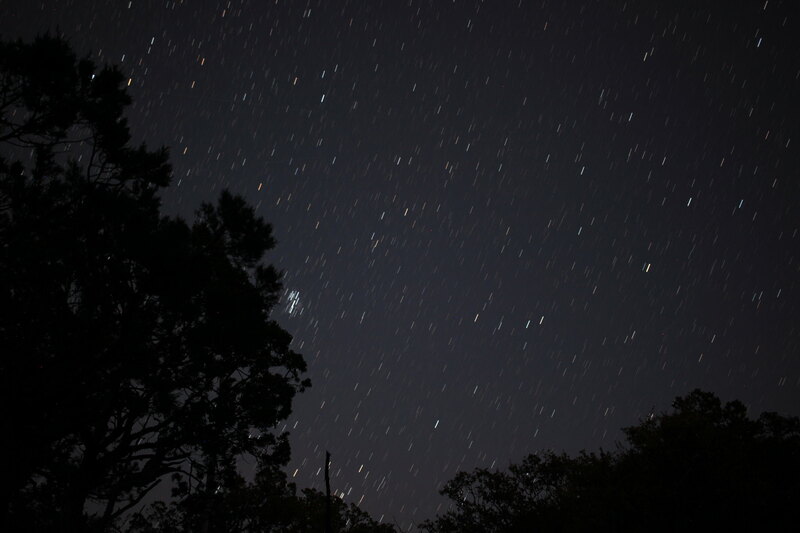 It turned out the moon didn't rise for a few hours this night, so I got some nice star pictures after all. 12/5: I set my phone's alarm for the first time to make sure to get up as early as possible. I managed to pack up and make it to the edge of the rim just in time for a spectacular sunrise. Nothing like some coffee, Mountain House biscuits and gravy, and a shockingly beautiful sunrise to end a trip. It was indeed windy and cold when I got down to the visitor center to check back in. The cold front was arriving for sure. I got to the car, and headed home. 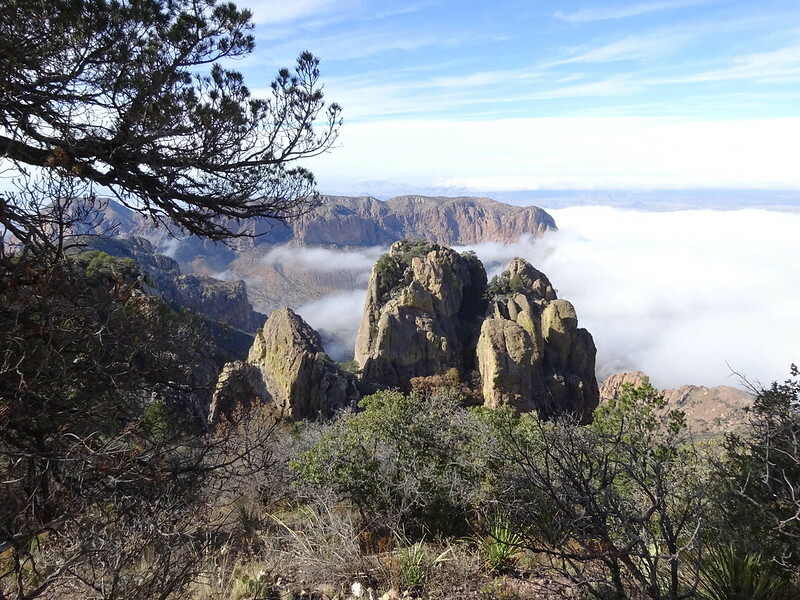 A really great first visit to Big Bend!! Thanks, forum, for all the info to help plan a really incredible trip! Awesome report and trip! You slipped out of the park just in time, looks like the last 2 days have been a bit raw. Welcome to the board! Great trip report. Thanks for posting! Welcome. Nice report! Thanks for taking the time. I laughed out loud about your permit experience. I can only imagine what they teach these people in training that they feel they must judge the worthiness of a hiker's request. I am cautiously excited that they are deciding to take pictures of Fresno creek to show where the spring is. What a change in attitude that would indicate if they start telling hikers the truth about water out there. Just like they always have in Grand Canyon. They say 2/3 bail on the loop. I always had trouble believing that number. But how many people will come back to this website and talk about their failures. 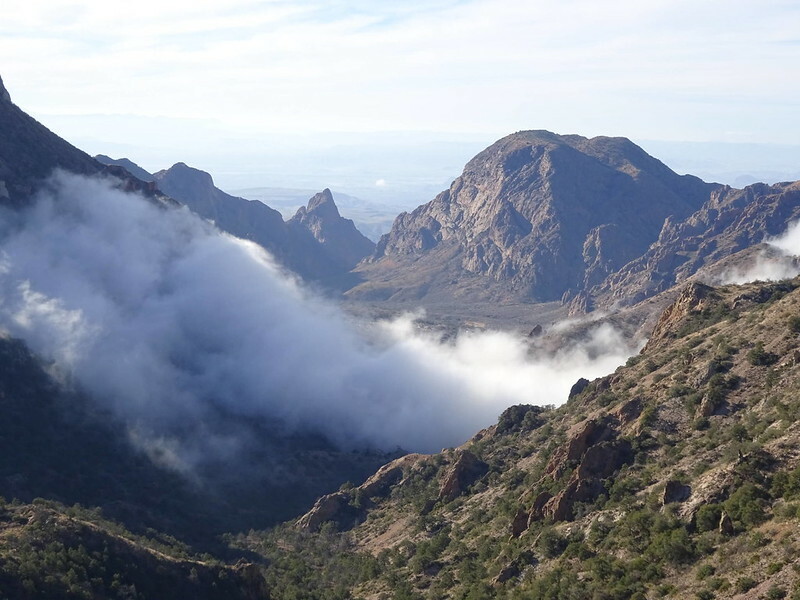 The clouds you saw are what it looks like when the cold air from a front is pouring into the Chisos It may have looked like this on the other side of the Chisos. We took these one time when climbing Lost Mine Peak. These are the clouds coming in from the north. The cold air hits and climbs up Casa Grande, then spills over into the Basin. You definitely got to see a "cool" event. Excellent report. Thanks for taking the time to post, especially the water status. It sounds like you picked a great weekend to do your 1st OML. I saw that it is 25 degrees in the Basin this morning. It must be brutal for anyone on the Rim today. Great trip report. Thanks for taking the time and the pictures. Makes me wish I could get on a plane soon and head to that part of the world. Sounds like you found the campsite just off the trail to the right heading down Juniper Canyon, the second one probably 10 minutes or less pass the springs. I spent the night there back in late October heading uphill. It's a magical location, like being dropped into the a spot you can't begin to imagine. Job well done on the report. Congratulations on your super OML. Thanks, especially, for your water update. Am I reading you correctly; (i) clear water is available in the pools up the trail above the pipe in Boot Canyon, and (ii) water is available south of the Dodson in the Fresno drainage? Thanks all. It was really a great trip. Incidentally, I met four people bailing, and only two completing (including myself) while I was there... Mumble-grumble-small-numbers-statistics-mumble-grumble. I think part of the believable part of that 2/3 statistic is how easy it probably is to bail at Homer Wilson. The road, and civilization, is *right there*... while the rim is some 3000 feet upwards. i) I personally only went down below the trail to the actual boot spring area with the pipe. The pipe was dry. There was one small pool there and it was kind of nasty. There was a bigger pool I saw right at the intersection of the Juniper trail with the Boot Canyon trail (picture below). I was told by two separate people that there were better pools of increasingly deep and clear water further up Boot Canyon trail. I didn't need it, so can't personally verify, but seemed really reliable. 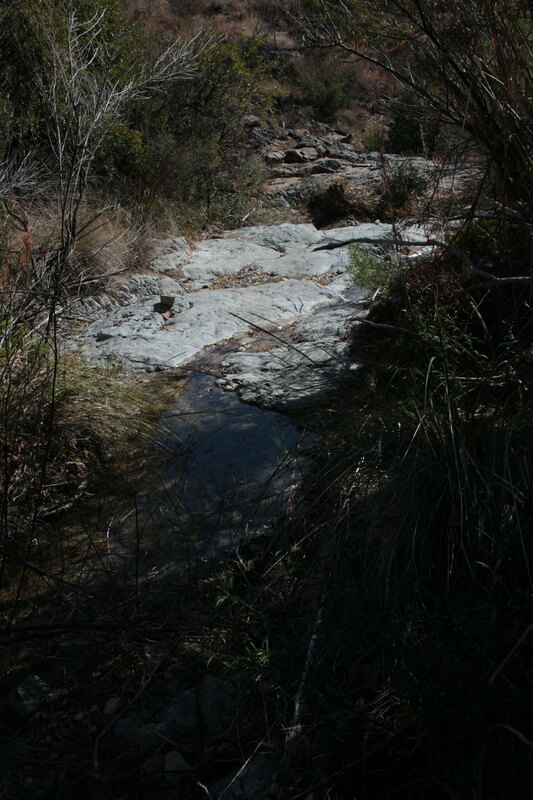 ii) Yes, I can personally confirm there was plenty of water just south of the Dodson trail at Fresno creek. It was a small trickle over the trail itself, but as soon as I walked south, more and more water pools were there. No more than 50 feet down the trail I took the picture below. It was flowing clear from one pool to the other, and deep enough in some you could dunk a water bottle. I used an MSR trailshot to filter, so didn't need that depth of water (and I recommend that filter for these types of trips). Thanks! Cant get out till March and this is what makes it bearable. Thank you kindly for the water report. My buds an I will be doing an OML next week. Our plans are being impacted by your report and we are grateful. As far as the bail-out places, I have been told by rangers that the #1 bail-out point is the parking area at the Juniper/Dodson trailhead. Folks come up Pinnacles and down Juniper, and only then begin to get the impact of the desert. Looking across the Dodson from that parking area seems to dishearten many, since it obviously gets "worse" from there. That doesn't quite make sense to me, for two reasons. First off, for the majority of backpackers who want to bail out at the Juniper they won't have a car to bail out to. They are miles away from pavement and and then chances someone is going to pick them up along the way is pretty slim. So how exactly do they bail out? Second, most people bail out at Homer Wilson because they just finished Dodson and have had enough. I base this on all the reports I've read. I'm guessing that the majority of these people underestimated the Dodson section to begin with and would not have looked out at the Dodson and been discouraged. The view from that trailhead does not nothing to indicate the degree of difficulty it poses. Plus the last three miles coming down the Juniper Canyon trail are some of the easiest miles on the OML. 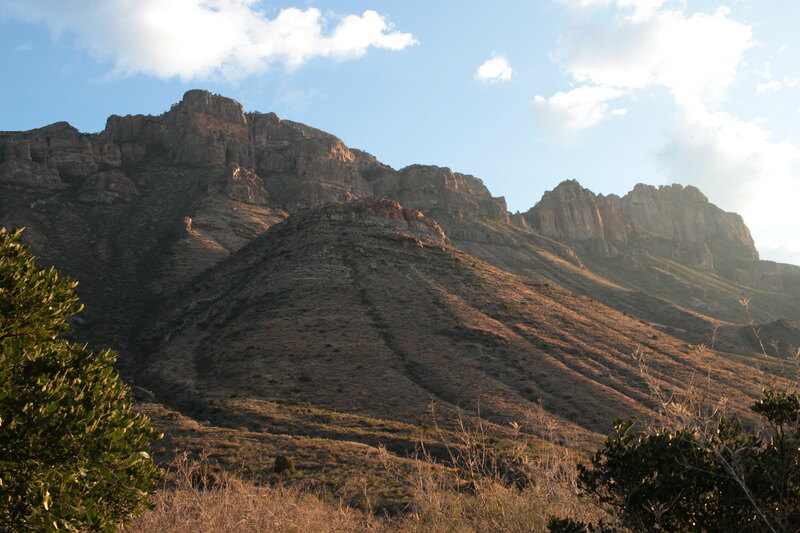 The first time I hiked it I had done a ton of research but because of the amount of elevation change in the major climbs in/out of the Chisos I totally discounted the up/downs on the Dodson and I think that is probably common. 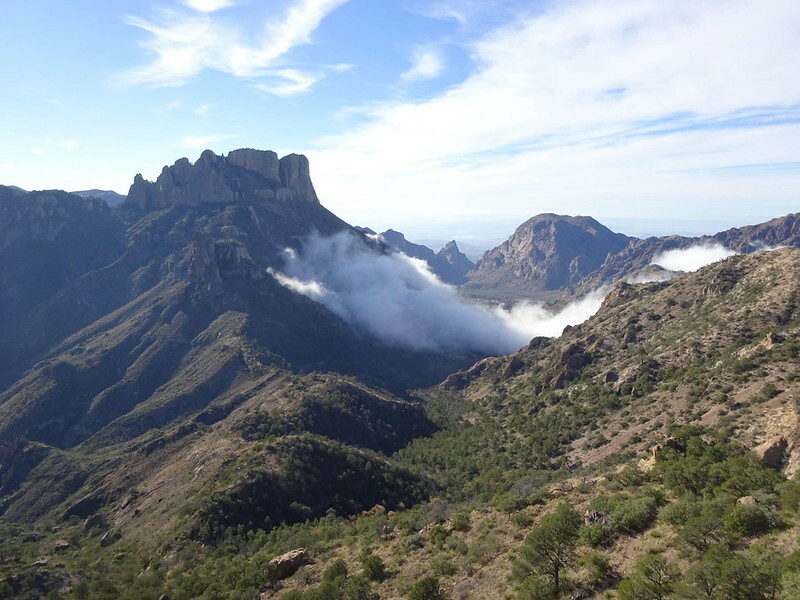 When we came out of the Chisos we were thinking the easy part was coming up. Other contributing factors were carrying too much weight and not conditioned to carrying the heavy pack I had. Now perhaps there are more people who want to bail out at Juniper, if they could, but how would anyone collect any statistics on that? I agree with you 100%, Robert. It's not just "the ups and downs" of the Dodson, it's also the 100% exposure along it. That and faced with the (to many) daunting prospect of having to go up the Blue Creek trail. The guy I spoke with was a LE ranger. He spoke of the frustration of having to go in and get folks out of that area. I guess that, for some people, when you gotta bail, you gotta bail. He also said that going down Juniper, folks get a blast of heat sometimes, wind pushing desert heat up Juniper. 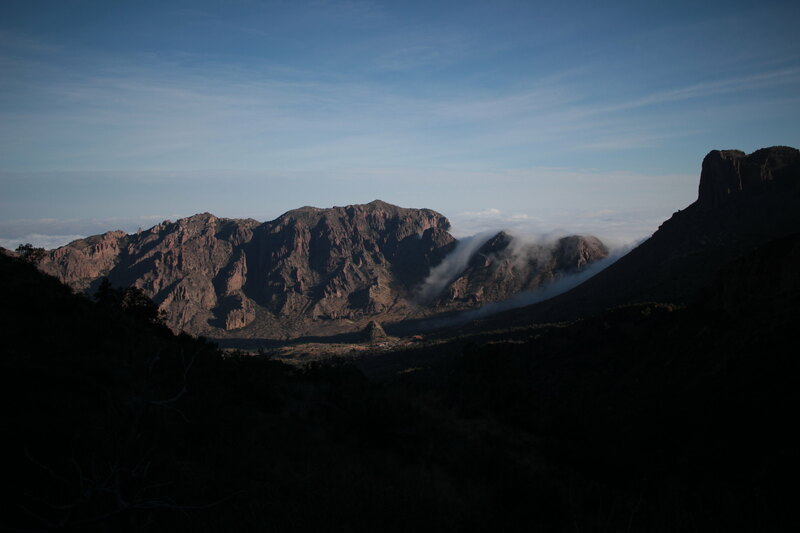 The difference between the comfort of the High Chisos and increasing desert conditions is what gets them. That's a perspective I had not thought of. But I still wonder how they know to go get someone? Nevertheless, if someone bails at Homer Wilson and hitches a ride the LE rangers wouldn't know about it.